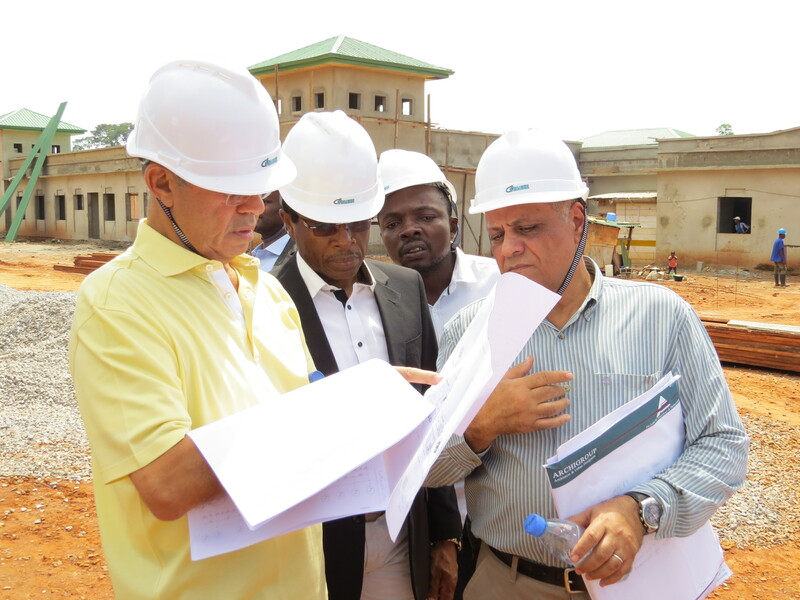 Dr Akef El-Maghraby, board chairman of the Africa Eye Foundation, and main promoter of the Magrabi ICO Cameroon Eye Institute was in Yaounde, Cameroon, from November 22nd-24th 2014. Dr El Maghraby reviewing construction plans with the contractor. 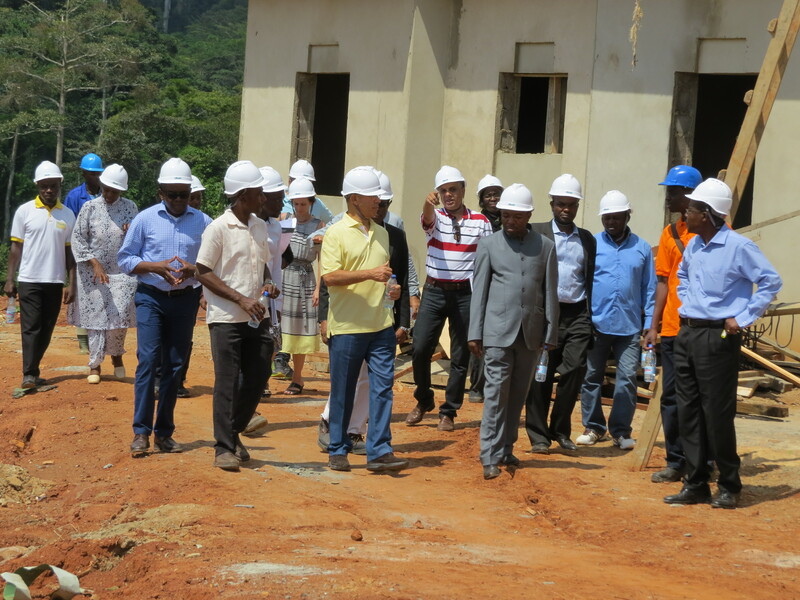 The main objective of his visit was to see for himself progress made on the construction and reassess with the contractor what the likely dates for the completion of the first phase buildings are. Dr El-Maghraby was also received in audience by H.E. Dr Philemon Yang, Prime Minister of Cameroon and by H.E. Chief Dr Joseph Dion Ngute, the Minister Delegate in Charge of Relations with the Commonwealth at the Ministry of External Relations. 1. Barrister Clement N. Fondufe, representing Latham and Watkins, an international law firm providing pro bono legal services to the Africa Eye Foundation. 4. Mr Eric Vachetto, world renowned landscape architect. Equally present were representatives of some of our partners such as Ms Tammy Merril from ORBIS and Mr Peter Mue from CBM. It should be recalled that the ORBIS Flying Eye Hospital visited Cameroon in October 2013, one of the first fruits of our partnership. Group photograph with Dr El-Maghraby front of main building. 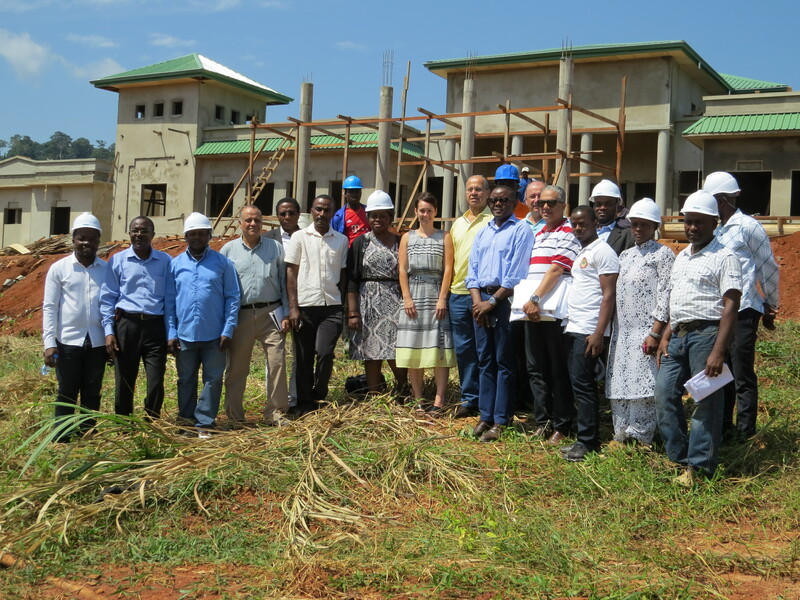 This entry was posted in Africa, Afrique, Cameroon, CBM, Magrabi ICO Cameroon Eye Institute, Orbis and tagged Africa Eye Foundation, Cameroon, CBM, Flying Eye Hospital, Latham and Watkins, Maghraby, Magrabi Hospitals, Orbis, Yaounde. Bookmark the permalink. Truly a laudable initiative. We have some way to go in provision of quality, specialised health care in Cameroon, but this certainly is a major 1st step. Well done Dr Henry Nkumbe and team.